We have an exciting opportunity for a Violence Prevention Manager to join our Berrimah team within CatholicCare NT. This position plays a key role in building CatholicCare NT’s capacity to provide high quality and integrated domestic and family violence services. The position reports directly to the Senior Contract Manager and takes direction from the NO MORE Campaign Director. 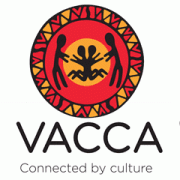 The primary purpose of this role is to lead and manage a diverse range of domestic and family violence programs in urban and remote communities, this currently includes NO MORE, Men’s Behaviour Change and Domestic Violence Counselling, Men’s Healing Group and a Family Advocacy Support Service. You will be required to develop skills in comprehensive program planning for CatholicCare NT Violence Prevention whilst ensuring compliance with contracts and oversee implementation and evaluation of program strategies to achieve goals and objectives. At least 5 years’ experience with managing and supporting diverse staff groups and including the capacity to provide supervision to staff. Please quote in application: Violence Prevention Manager via Pro Bono Australia.